This book uses gender as a framework to offer unique insights into the socio-cultural foundations of Buddhism. 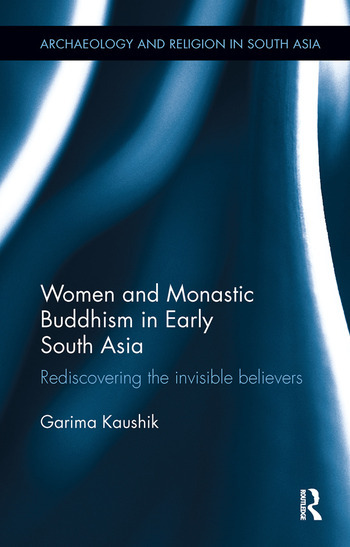 Moving away from dominant discourses that discuss women as a single monolithic, homogenous category—thus rendering them invisible within the broader religious discourse—this monograph examines their sustained role in the larger context of South Asian Buddhism and reaffirms their agency. It highlights the multiple roles played by women as patrons, practitioners, lay and monastic members, etc. within Buddhism. The volume also investigates the individual experiences of the members, and their equations and relationships at different levels—with the Samgha at large, with their own respective Bhikşu or Bhikşunī Sangha, with the laity, and with members of the same gender (both lay and monastic). It rereads, reconfigures and reassesses historical data in order to arrive at a new understanding of Buddhism and the social matrix within which it developed and flourished. Garima Kaushik is assistant archaeologist in the Chandigarh Circle of the Archaeological Survey of India. She has excavated at a number of important historic and protohistoric archeological sites in the country including Sravasti, Dholavira, Govishana and Adi Badri. She has been actively involved in academic as well as field research on early Buddhist historical sites for over 15 years.